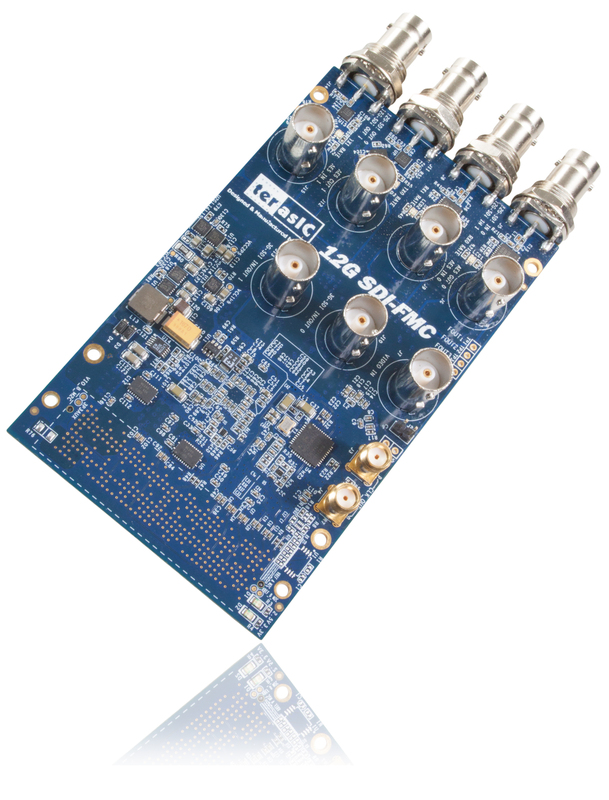 The SDI-FMC is a FMC interfaced 12G SDI daughter card. Besides SDI, it also includes AES (Audio Engineering Societ) audio interface and clock generaters. It is intended to be used by customers to implement and design SDI and AES systems based on transceiver-based host boards with FMC interface. FPGA reference designs and source design files for Altera A10SoC and A10GFP are available in this Kit.